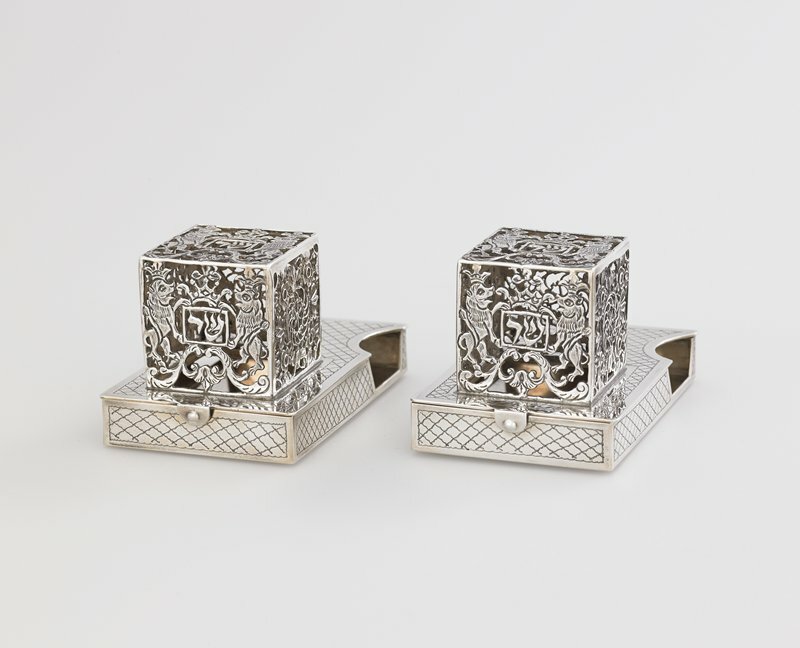 These intricately filigreed silver boxes were made to cover leather Tefillin boxes containing passages from the Torah. Deuteronomy 6:8 instructs, "And you shall bind them as a sign on your hand, and they shall be for frontlets between your eyes." Traditional Jewish men attach the Tefillin to the head and arm with leather straps during morning prayers.